It finally happened: reaching across the vast distance of space and time, the dialogue resonating throughout 40 countries around the world. We are not talking about CNN or the United Nations, we are talking about laptop computers telematically connecting voices and ideas and social aspirations. If academia was once confined to the ivory tower, those walls have been shaken. 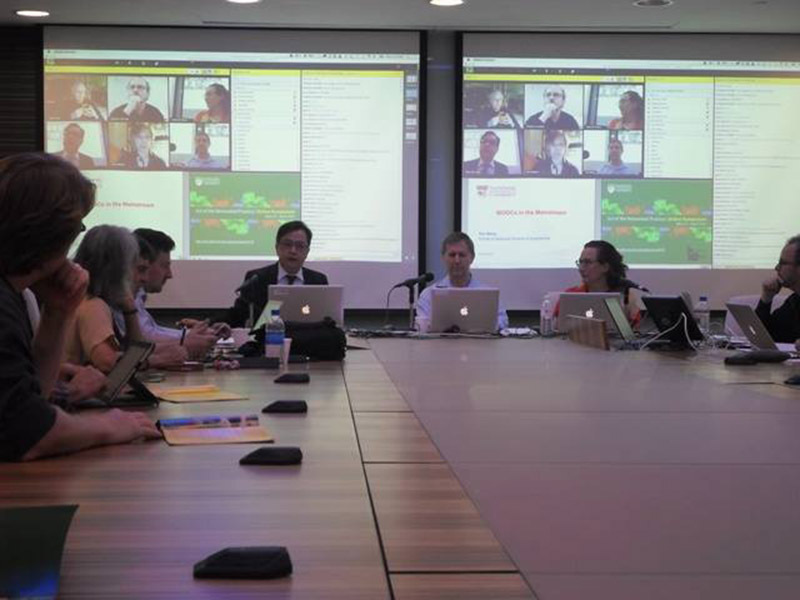 The Art of the Networked Practice | Online Symposium became reality last week at Nanyang Technological University in Singapore – my new adopted academic home. 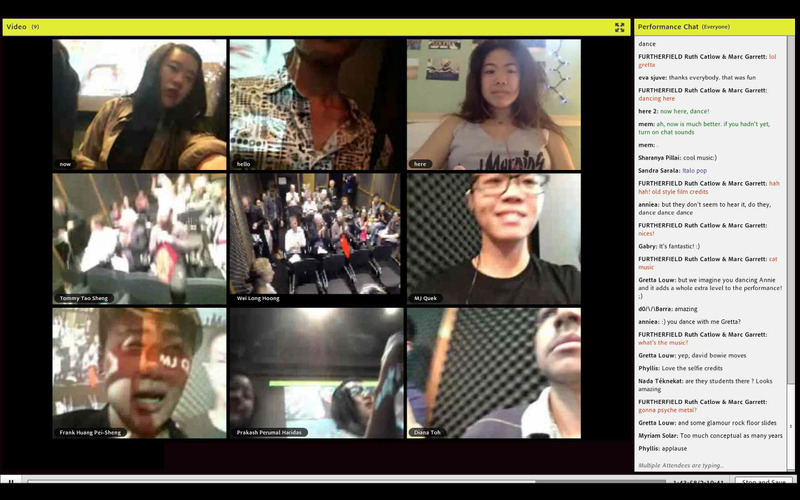 It was the manifestation of the creative dialogue, it was a reunion of NetArtizens in the third space of the network, it was an immersion into distributed forms of social engagement, and it was a global peer-to-peer conversation on an intimate @home scale. 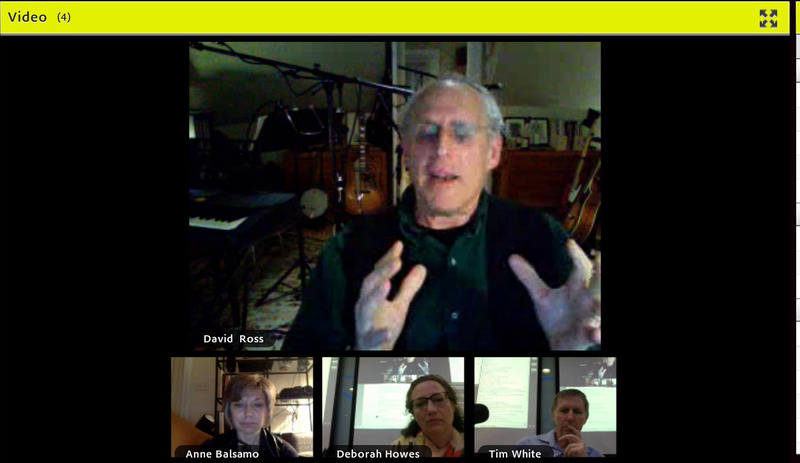 Artists who are often sequestered in the privacy of their studios were given their moment to share ideas via a live platform with global reach. The idea of a “data happening” took place as a live broadcasted mobile cinematic experience, a journey through the space of the School of Art, Design & Media: collaged and fragmented and collapsed into the space of the network. The digital natives who performed the work activated their cell phones like musical instruments, generating data streamed images converting the real space into something like a dream. What a joy to see the so-called devices of mobile addiction become creative tools for networked performance art: discovering that the everyday life of telematics can become something transcendent & free & liberating & revealing in our increasingly speed-of-light, digitally social landscape. If in fact we are becoming the practitioners of the FLOW that moves instantaneously, than at least we can leave traces of awe. 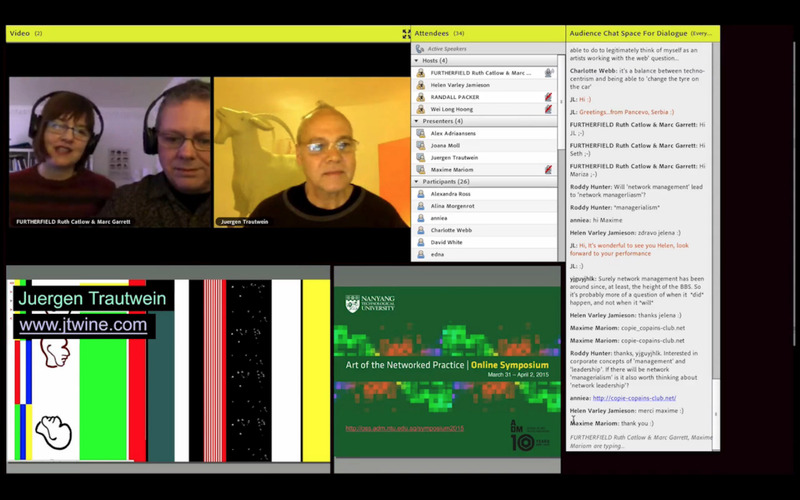 From New York to London to Singapore to Australia, we were all critiquing & contemplating a fast changing networked culture that is quickly transforming our artistic practice, our teaching, our research, our social relations, our identities, and our understanding of the world @ large. We have ventured into something new and unimaginable and the only way we will ever grasp the significance of the sheer scale and magnitude of our world today is to compress it: illuminated windows into a brave new world.